For the last 3 months or so I’ve been subscribed to the Vegan Cuts Beauty box. I found Vegan cuts through people I watch on YouTube like Eco vegan gal and more people. I found it very interesting so I decided to try it for couple of months. 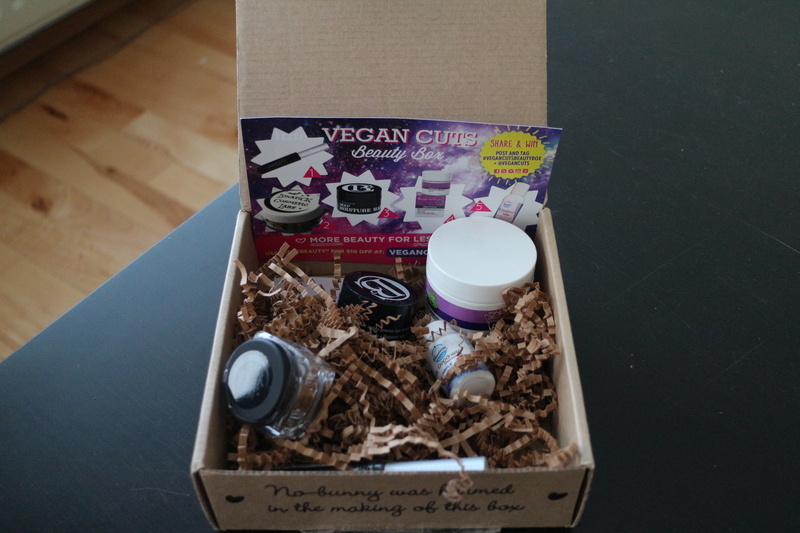 Vegan cuts beauty box is like the name says a beauty box that has vegan skin care and make-up. The first box I received was in July 2014 and in there was a full size lipstick, body oil, shower gel ,etc.. The August 2014 contained Pacifica BB cream that I really liked, a mineral hybrid cream in full size, spa salt , etc. Everything I’ve received I’ve used and most of it I really like. I decided that I didn’t want to quit my subscription. September came and my vegan cuts beauty box arrived. This is what it looks like when you open it up. It costs $19.95 per month and I pay $15 for a Worldwide shipping. The value in the particular box is $62, most of the products this month were full size or deluxe sized, I can use some of them for a month or more. 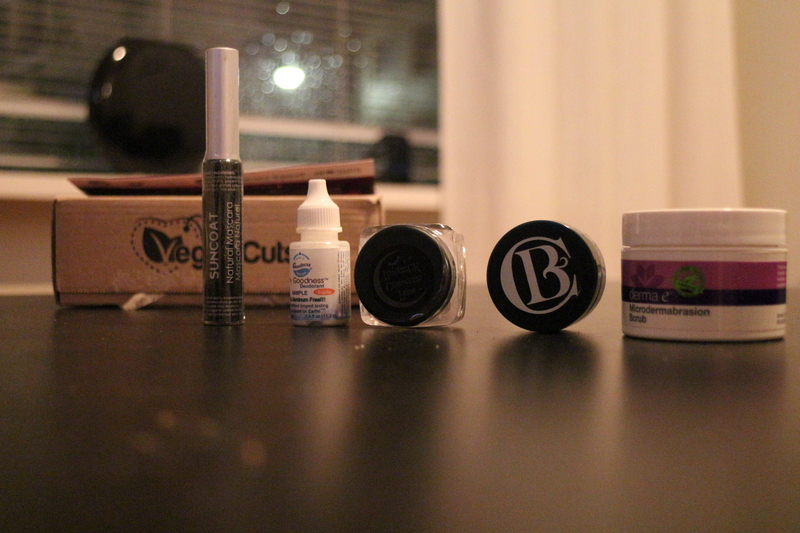 Here you can see everything that was in this months beauty box. I have tried every product now and I like everything except the mascara. I find it very hard to find a good natural Mascara if you guys know of some good natural mascaras please leave a comment below. The deodorant is nice but the packaging is kind of bad. This was my first beauty blog. I am no expert in beauty or skin care, so everything I say is my own opinion. I like these boxes. It make my day when the box arrives.